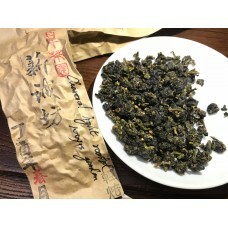 Traditional Charcoal Roasted Dongding oolong from Century old tea garden. Based on the skilful combination of various tea leaf characteristics of the different seasons with a hand roasting process on then finest selected longan wood charcoal, the flavour of tea is perfected with the right roast levels. A process guarded by the watchful eye of the tea maker through the night and days, an aspiration to continue the flavour of true dongding oolong through centuries.